Last Saturday, National launched their controversial water discussion document, Next steps for fresh water, at a Party conference at Lake Tekapo. By announcing the major reform of the country’s system of fresh water management at a remote location on a weekend, National will have ensured that that most New Zealanders are unaware that a public consultation and submission process is now underway. The government is proposing 23 specific reform initiatives covering three main aspects of water management: improving water quality, creating tribal control of fresh water, and improving the economic use of water. In terms of the quality of our water, the Minister explained, “our worst water quality is in urban environments”. This will no doubt surprise many, given that environmentalists and the media are always pointing the finger of blame at farmers. In fact, the environmental lobby has been so effective in turning public attitudes against farming that National – a party that used to stand up for farmers – has caved in and is now proposing a range of new draconian fencing rules that will cost farmers dearly. According to Federated Farmers the voluntary fencing of waterways of more than 1 metre wide and 30 centimetres deep by dairy farmers has been an outstanding success – especially since Fonterra made it a condition of supply. Around 94 percent has already been achieved through 24,000 kilometres of fencing – the distance from New Zealand to Alaska and back! – with the balance set to be completed by the 1 July 2017 deadline. However, the government now intends to extend the fencing requirement to dairy replacement stock, beef, deer and pigs. The deadline for pigs is 1 July 2017, for dairy replacement stock being grazed by their owners 2020 and by other farmers 2025, and for beef and intensive deer 2020 for farms on the plains, and 2025 for hill country farms. Federated Farmers has estimated that at $10 a metre, the expected cost of these extra requirements to fence even remote farm waterways will range from $3.9 billion to $10 billion – a ridiculously high financial cost for what is likely to be, in most cases, of no significant long term benefit. In his speech, the Minister explained that some water bodies have extremely long hydrological cycles, pointing out that it would take 75 years for excessive nutrients on farms in the central North Island to reach Lake Taupo. This means that some water quality issues go back decades – and will take similar periods to be resolved. In New Zealand Regional Councils and Unitary Authorities are responsible for the overall quality of fresh water in their regions. The Government proposes to amend the National Policy Statement for Freshwater Management to introduce freshwater management units, to break down that responsibility into catchments. A Macroinvertebrate Community Index score is to be introduced to assess the presence of aquatic insects living in a freshwater ecosystem in order to monitor its ecological health. Exceptions to the water quality rules will be allowed for significant infrastructure such as hydro-electric plants and dams – which provide almost 60 percent of New Zealand’s electricity supplies – so they can continue to operate efficiently in the national interest. The Government will also amend the National Policy Statement to include coastal lakes and lagoons that are intermittently open to the sea. When it comes to the issue of water allocation, the discussion document explains that water is currently allocated on a ‘first in, first served’ basis. While this approach works when there is plenty of available water, once water becomes scarce, the government is concerned that there is no mechanism to prioritise new, higher value or more efficient users. Accordingly, they are proposing to introduce three new measures for councils to use. Technical Efficiency Standards will define the amount of water that would be used by an efficient user in different climates and soils, depending on whether the end use is urban, hydro, or irrigation. Good Management Practice standards will measure the acceptable amount of nitrogen that can be discharged, depending on climate, soils and uses. And Full Allocation standards will indicate that no more water is available in a catchment for new consents or discharges. The government is also planning to not only allow councils to charge for water, but to also allow consent holders of water and discharge allowances to sell them – effectively privatising water. In effect, this would be the largest privatisation in New Zealand’s history, since freshwater is estimated by the Ministry for the Environment to be worth $35 billion a year. It’s a very big deal, not only for those who are going to lose water rights, but for Maori tribes who want to control the water rights industry and gain race-based allocations in perpetuity. Some say the privatisation of water and the granting of race-based rights is payback for a deal that was done between the government and tribal leaders at that the time of National’s partial privatisation of state owned power companies in 2012. In return for tribal claimants letting the sale go through, National agreed to recognise ‘Maori rights and interests in freshwater’ – a commitment Crown council reaffirmed in a case before the Supreme Court in 2014. In reality, since under common law and the Resource Management Act, no-one owns water in New Zealand, irrespective of who owns the surrounding land or the beds of waterways, there are and should be no tribal rights to water (nor to the rain, nor the clouds…) – a conclusion consistently reached by successive governments. This week’s NZCPR Guest Commentator, David Round, a Lecturer in Law at Canterbury University, has re-examined the Waitangi Tribunal’s 2012 interim report on freshwater that declared that Maori have rights and interests in water akin to ownership to ascertain exactly what evidence was used to prove ownership rights exist. He has discovered that of the points listed as ‘proof of ownership’, “quite a few appeal to nothing more than picturesque myth or superstition”. But he also points out: “Just note that the claim being made is indeed one for ‘ownership’, or something so close to it as to be practically indistinguishable. The Tribunal in its report repeated the claimants’ words that ‘the closest English cultural equivalent to express this  Maori customary authority is ownership’. “This is worth emphasising, because as of this moment the story is being spread about that the Maori claim is not one for ownership ~ that ownership is a very European, legalistic, unpleasant concept unknown to caring Maori. Maori don’t want ownership, no! What made us think that? All they want is just a say, a far greater say than they have now as to what happens to water. The obligations imposed upon Maori to care for their taonga simply mean that they have to be in charge! The Brown Man’s burden… But only panicky prejudiced people like some of us could misinterpret the Treaty claim as being one for ‘ownership’. It is clear from the discussion document that the government is now being driven by the demands of tribal leaders for control of water. A Crown submission to the Waitangi Tribunal written this week confirms that fact. To satisfy Iwi Leaders and the Waitangi Tribunal the spiritual concept of “Te Mana o te Wai” has already been included in the 2014 National Policy Statement on Fresh Water, embedding in “the innate well-being and vitality (mauri) of a water body and its ability to provide for the health of the water (te hauora o te wai), the health of the environment (te hauora o te taiao), and the health of the people (te hauora o te tangata)”. But this is where the government is seriously wrong. It is totally inappropriate to include culture and spiritualism in legislation controlling the quality of water. National is now asserting that all tribes have associations with freshwater bodies. Some of these have already been recognised in Treaty settlements – through statutory acknowledgements, the vesting of the beds of the water bodies in a tribe, or through a “new legal personality” such as in the case of the W(h)anganui River. Settlement Acts are also creating new requirements for decision-making. Anyone who wants resource consents in the vast number of areas where statutory acknowledgements exist must consult all iwi individually – with each no doubt charging the hapless applicant a substantial fee for pro-forma cultural assessments. 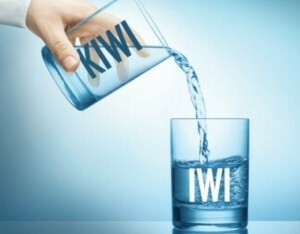 Inevitably, this approach will result in Maori tribes controlling every waterway in New Zealand, clipping the ticket whenever anyone applies for a resource consent – and receiving royalties for the use of water, if it is privatised. By passing the buck onto local bodies to determine exactly what Maori rights and interests in fresh water really are, National is ensuring that any tribe claiming any sort of association with any body of water will get their way. Regional Councils and Unitary Authorities are simply not set up to properly determine the proof of such matters. National is fully aware of this. Such an approach is also totally at odds with the claims being made by Minister Nick Smith, that through their Resource Management Act reforms, National is striving for consistency at local government level. The point is that decision-making around tribal rights and interests in fresh water is the sole responsibility of central government – and it is the National Party alone that must accept the consequences of giving control of the nation’s waterways to Maori. National has already provided tribal leaders with a mechanism to control local bodies through their proposed Iwi Participation Arrangements (IPA) in the RMA reform bill. On top of all of this, it is proposed that taxpayer funding will be provided by the Ministry for the Environment to resource tribes so they can contribute meaningfully in their new governance roles. Iwi Leaders have said they want $1 billion for this purpose – is this the beginning of that deal? Submissions on the freshwater consultation document close on 22nd April at 5pm. We would urge all concerned New Zealanders to have their say. Do you support the government’s plan to give control over freshwater to tribal groups?